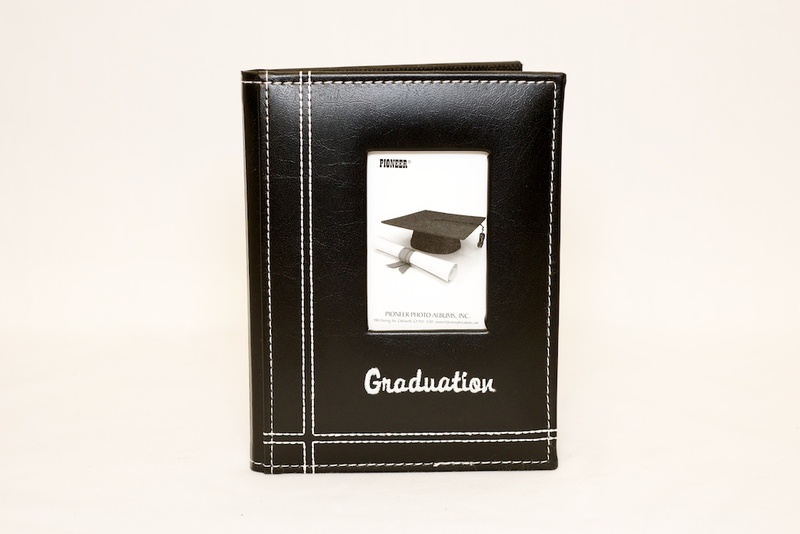 An attractive, compact album to hold the memories of graduation day for the graduate, family or friends. The album holds 36 4×6 photos and is archival photo safe: acid, lignin & PVC free. “Graduation” is embroidered on the front cover but regrettably the album cannot be customized with your logo. The graduate’s photo can be inserted so it appears on the front cover making it a great personalized memento of the occasion.